Blog Study finds deck stacked against blacks in R.I.
Study finds deck stacked against blacks in R.I. While the report from the Economic Progress Institute finds some progress, it ends with a call to arms. PROVIDENCE, R.I. — Although progress has been made, significant economic, educational, housing and other disparities persist between black and white Rhode Islanders. Black residents of the state also are disproportionately represented in rates of arrest and incarceration. Those are among the data-supported conclusions of “The State of Black Families in Rhode Island: Left Behind but Making Strides,” a 68-page study from The Economic Progress Institute that was released on Friday. The historical roots of these disparities date to Colonial times, when black slaves were sold and owned in the state, the study states. – The black unemployment rate every year from 2002 to 2016 consistently exceeded that of whites, with a disparity of 7.2 percent to 4.6 percent last year. – A larger share of blacks lack a high-school diploma than whites: 21 percent versus 10 percent. Nineteen percent of blacks hold a bachelor’s degree or higher, compared with 34 percent of whites. – Blacks make up 30 percent of those in the state Department of Corrections system — but just 5.3 percent of the overall population. – Black Rhode Islanders face arrest rates ranging from 3.4 to 9.1 times non-black arrest rates, depending on the city. – Only 30 percent of black families own their homes, compared with 64 percent of whites. – Almost 15 percent of blacks lack access to a motor vehicle, compared with 5.4 percent of whites. The study’s conclusions come as no surprise to James Vincent, head of the Providence Branch of the NAACP. 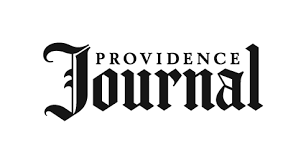 “I have often stated that the majority of black Rhode Islanders are in dire straits and this report substantiates in a comprehensive way the accuracy of my assertions,” Vincent told The Providence Journal.